MyTrendyPhone offers a wide variety of products. Our customer support works long hours to ensure that all of our customers are satisfied. MyTrendyPhone offers a 30-day price match guarantee. This means that if you find a certain product on another shop, in the same quantity, but at a lower price than what you paid on MyTrendyPhone, we will refund the difference in price. 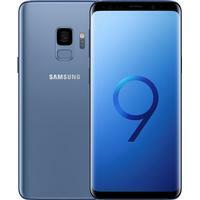 If you come across such a product, send your order number, a direct link to the cheaper product, and details of your bank account to sales@mytrendyphone.co.uk.The price match guarantee does not apply to mobile phones, repairs, tablets, music players, consoles, televisions, or products from the Sound and Vision category. You cannot combine the guarantee with other discounts. MyTrendyPhone offers a 14-day return period, which means that you have 14 days to return your order from the date you received it. The products need to be unused and in their original packaging. The process for returning an item is as follows: log in on the website, receive an RMA number, write the number on the envelope or package, and ship the products to Whatfield Hall, Whatfield, Ipswich IP7 6QY, England. MyTrendyPhone will process your claim 2-5 days after receiving your product. MyTrendyPhone accepts the following payment methods:- Euro Card/MasterCard, Maestro, Visa, Visa Electron- JCB, Diners Club- American Express- Verified by Visa/MasterCard Secure Code- PayPal- Company AccountYou can read more about our payment options on our website. Orders placed before 4PM on weekdays are dispatched on the same day. Orders placed between 4PM on Fridays and 9AM on Sundays are dispatched on Sundays. If you order more items with different delivery times at once, they might get dispatched separately. It usually takes 2-3 days for products to be delivered to you, but bear in mind that this is subject to change due to stock availability and postal services. Our delivery partners are Royal Mail and UPS. You can read more about delivery on our website. Delivery charge applies per order. You pay the same amount, regardless of how many products you have ordered. Please note that shipping costs depend on two criteria: order value and shipping method.